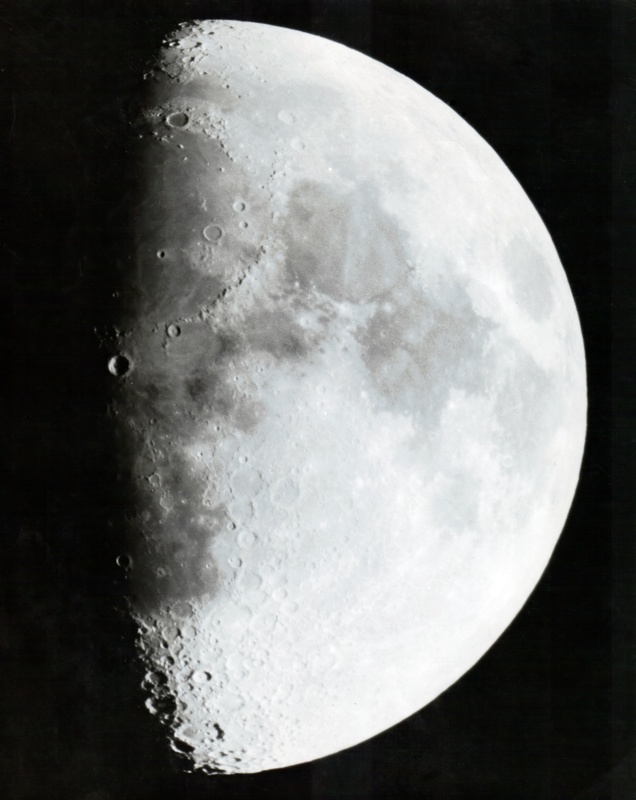 The Moon, aged 9.3 days on 1959 May 17. Photographed with the 6-inch refractor of the RASC Montreal Centre. 1/10s at f/15, Panatomic-X. Photo by Geoff Gaherty.